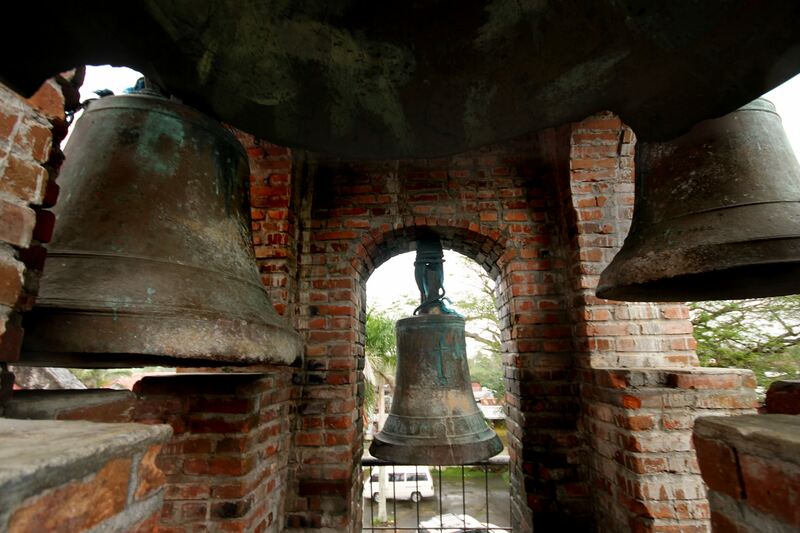 The Sancta Maria bell (center) was forged in 1595, making it the oldest church bell in Southeast Asia! After dropping by the pottery town of Iguig, we continued northeast of Cagayan province. Just off the national highway en route to the busy trading town of Aparri is the riverside municipality of Camalaniugan, which – as proudly heralded on the town’s welcome arch – is the home of the oldest Catholic church bell not only in the Philippines but also in Southeast Asia! After having seen the largest church bell in Asia at Pan-ay, Capiz, I was looking forward to Cagayan’s own superlative antique. A closer look at the Sancta Maria Bell of Camalaniugan, Cagayan. From Junction Luna, Aparri-bound jeepneys pass by the town of Camalaniugan (PHP 120, 1.5 hours). Alight at Barangay Sapping, where a concrete marker stands by the highway. If coming from Manila, GV Florida buses ply the Manila-Aparri route, via Tuguegarao. This trip was made possible through Lakbay Norte 6, a media trip held from January 30 to February 3, 2017, and organized by the North Philippines Visitors Bureau (NPVB), a non-stock, non-profit organization spearheaded by the Manila North Tollways Corporation, builder and concessionaire of the North Luzon Expressway.